This is the number-one form of financing used by most small-business owners. In addition, when you approach other financing sources such as bankers, venture capitals or the government, they will want to know exactly how much of your own money you are putting into the venture. After all, if you don’t have enough faith in your business to risk your own money, why should anyone else risk theirs? Family and friends are great sources of financing. These people know you have integrity and will grant you a loan based on the strength of your character. It makes sense. People with whom you have close relationships know you are reliable and competent, so there should be no problem in asking for a loan. Most financial institutions will require some form of security before providing financing. These can include securities in assets of the business, including land and building, equipment, accounts receivable or inventory. Further, with most small owner-managed businesses, financial institutions may require personal security from the business owner in support of the business’ obligations. This can include personal guarantees of the business owner and his/her spouse and mortgages against real property and personal assets. Various forms of government assistance are available for business owners in the form of grants or loans from the federal, provincial and municipal levels of government. These grants and loans are often targeted at specific industries or areas and have criteria which must be met by the business before it is eligible for financing. These government grants and loans can be a very valuable source of financing for business owners. However, business owners must be prepared to invest a substantial amount of time to complete the application process. Approval can be slow to obtain due to extensive review procedures. Business owners may obtain financing to pursue business opportunities by entering into partnerships with other business owners. A business owner who enters into a partnership with a compatible, strong partner can take advantage not only of their partner’s sources of financing, but also their business skills, employees, equipment and other resources. However, it is very important to decide issues such as sharing of profits, control and decision-making issues and responsibilities at the outset. Failure to do so and failure to properly document these issues with the appropriate form of agreement, can lead to disputes down the road. Another important issue to address is to ensure that your partner represents a good fit for your business and the opportunity being pursued. If you intend running a business that will convert raw materials into finished products, then the nearness or availability of raw materials is a factor you must not joke with when choosing your business location. If your business is not sited close to these raw materials, then sourcing and transportation will reduce your profit margin. The next important factor to consider is the nearness of your business to its customers. Are your customers resellers or end users? Answering this question will help you determine the best area to locate your business. Remember that for your business to succeed, you must make it easy for customers to find your product. Availability of basic infrastructure can affect your choice of small business location. Amenities and infrastructure such as water supply, power supply, good road network and security are things to consider when locating your business. Demographics as a factor can have a big influence on your choice of business location. The type of product or service your business offers and the status of the customers will play a vital in your choice of small business location. For example, suppose you are into the business of selling stationeries. That means your demographics should be made up of students, so your best bet of location should be within school vicinity. Setting up and operating a marketing outlet is both exciting and rewarding, but it is also full of challenges. The success of the marketing outlet will partly depend on your attitude and skills. This means being honest about a range of issues – your knowledge, your financial status and the personal qualities that you can bring to your new business. 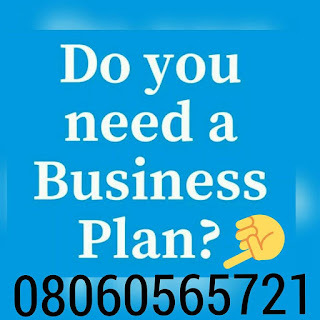 In order to set up and operate a business successfully, it will be beneficial if your experience and training can be put to direct use in the new business venture. What are your talents, aptitudes, hobbies and interests? You should choose a business idea that is exciting, fun and in harmony with your convictions, interests and abilities. Your business should be something that is capable of satisfying the needs of your target market. Choose the type of business you want to do and the products you want to sell. Ensure you have the right skills and qualities needed to make a success of the business. Search for information to ensure that the product(s) you have chosen to sell will be profitable and capable of satisfying the needs of your prospects. Are there enough prospects in the chosen market? Will you be able to cope with the existing competition? Choose a good business name. It is best to have a name that clearly communicates to your customers what the company does, makes or sells. A good name is more desirable than great riches; to be esteemed is better than silver or gold. Proverbs 22:1. Every business enterprise is required to register with the Corporate Affairs Commission. The next step is to consider how you will fund it. Do you have savings that can be invested and if this won’t be enough, how much money will you need to borrow as a way of financing the venture? • Is location important for the success of your business? • What type of location is best for your business? • How much rent can you afford? • Is your proposed location appropriate for what you plan to do there? Management has to do with the use of people and other organisational resources to accomplish objectives. It involves the implementation of four important functions – planning, organizing, leading, and controlling. 1. Planning is the process by which managers set objectives, asses the future and develop courses of action to accomplish these objectives. It means determining now what to do in the future. (a) Where are we now? (b) Where are we going? (c) How do we get there? Without a plan, we cannot get anything done because we don’t know what needs doing or how to do it. 2. Organizing is the process of arranging people and other resources to carry out plans and accomplish objectives. It is a continuing process in any organization. It means putting the right people and the right materials and equipments in the right places. The effectiveness of a firm’s organizational structure is a key ingredient in its eventual success or failure. 3. Leading is the act of motivating or causing people to perform certain tasks intended to achieve specific objectives. It is the art of making things happen. 4. Controlling is the process by which managers determine whether organisational objectives are achieved and whether actual operations are consistent with plans. To control means to set standards and ensure that they are followed. Another requirement for business success is for you to develop the habit of proper supervision. You must set up a system to monitor the task and make sure that things are being done as agreed upon. 3. Choose a good business name. 6. Choose a good marketing location. 1. Availability of raw materials. 3. Availability of basic infrastructure. Management has to do with the use of people and other organizational resources to accomplish objectives. It involves the implementation of four important functions – planning, organizing, leading, and controlling.